Last week we announced our partnership with Esprida’s LiveIntersect, an IoT Cloud platform for the Industrial IoT. 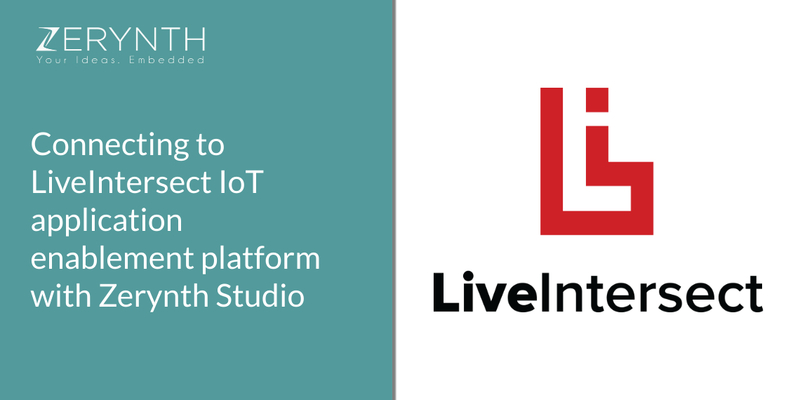 So, today we will share a tutorial from their website, that explains in detail how to connect to the LiveIntersect IoT application enablement platform. Collect data from your devices, run connected IoT applications and harness the power of real-time data. The tutorial will guide you through all the necessary steps, like cloning an asset simulation project, setting up your WiFi credentials and configuring the SSL certificate. The great thing about this tutorial is that you already have everything you need on your computer. You don’t need to clone GitHub repositories or copy and paste a code from somewhere, or drag-and-drop any file in any folder or via FTP. All you need is Zerynth Studio. Just keep in mind that once you reach the point of setting up the API-key you’ll need to contact the LiveIntersect team. This platform is designed to help build Connected Products and IoT solutions. It provides vital capabilities including aggregate data from endpoint assets, store and process device data, an integration framework, and more. You can learn more about it here. If you want to start your own project with Zerynth tools and LiveIntersect, signup for an account on Zerynth & LiveIntersect by visiting this page. Before you start anything, make sure to download Zerynth Studio.